The Sarett Nature Center has a butterfly house on their grounds. It's open late summer and into the fall. I have only been to one other butterfly house (and that a long time ago in a shopping mall) so I didn't know what to expect. It turns out, this butterfly house is much larger than the one I was to previously. And it has lots more types of butterflies too! We weren't able to see all of these types of butterflies but we did see 10 of them, only missing out on the Viceroy, and Common Buckeye. 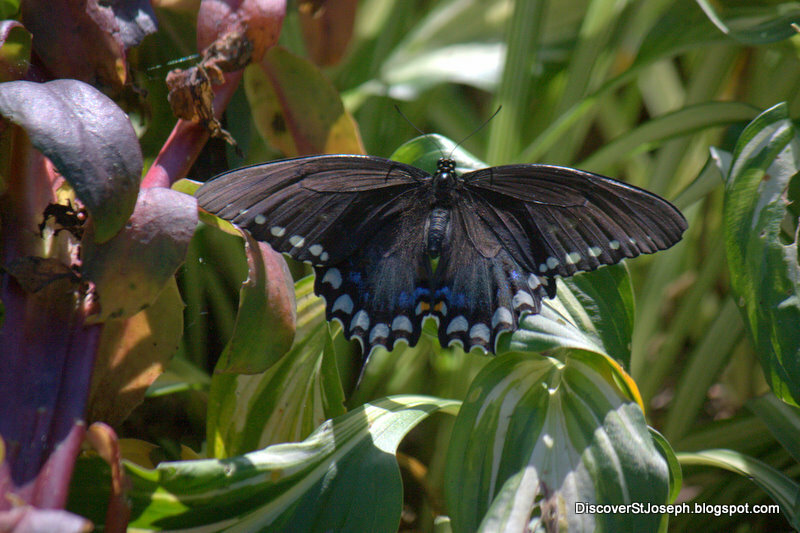 The butterfly house consists of a large screened in area with flowers, bushes, small trees, and a water pond. 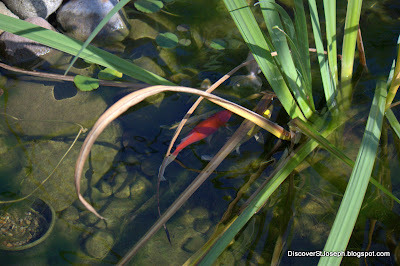 The water pond had a few fish in it. But let's face it, the main attraction is the butterflies. There were A LOT of them and they were easy to see and photograph. Sort of like shooting fish in a barrel, lol! Photographers who enjoy shooting butterflies will have a field day here. The butterflies are numerous and they land on lovely flora making for beautiful pictures. I took a lot of pictures but could have spent the whole day there taking even more. Nature at it's finest! The butterfly house at the Sarett Nature Center is not open year round so it's a good idea to call before you make the drive over to make sure it's open.